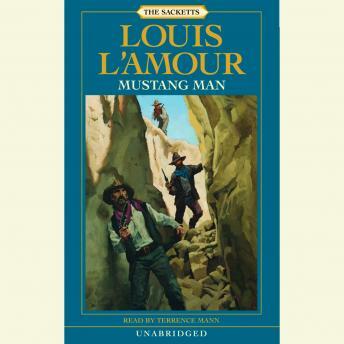 In Mustang Man, Louis L’Amour takes Nolan Sackett on a dangerous journey into family betrayal, greed, and murder. When Nolan Sackett met Penelope Hume in a cantina at Borregos Plaza, the girl immediately captured his attention. That she was heir to a lost cache of gold didn’t make her any less desirable. But Penelope isn’t the only one after her grandfather’s treasure; Sylvie, Ralph, and Andrew Karnes, distant relatives with no legal claim to the gold, are obsessed with claiming the Hume fortune for themselves. Their all-consuming sense of entitlement recklessly drives them to ambush and murder. Even if Sackett and Penelope are fortunate enough to escape this deadly trio and find the canyon where the gold is hidden, Indian legend has it that nothing will live there—no birds or insects. They say it is filled with the bones of men.